The economist intelligence unit published a ranking of competitive cities. Chicago ranks as the 2nd most competitive city in the US. New York is the most competitive city. Paris ranks 7th. The American Economic Review published Edward Glaeser’s Ely Lily lecture on “A Nation of Gamblers: Real Estate Speculation and American History.” A fascinating read. We discover the market value of a Times Square tower. 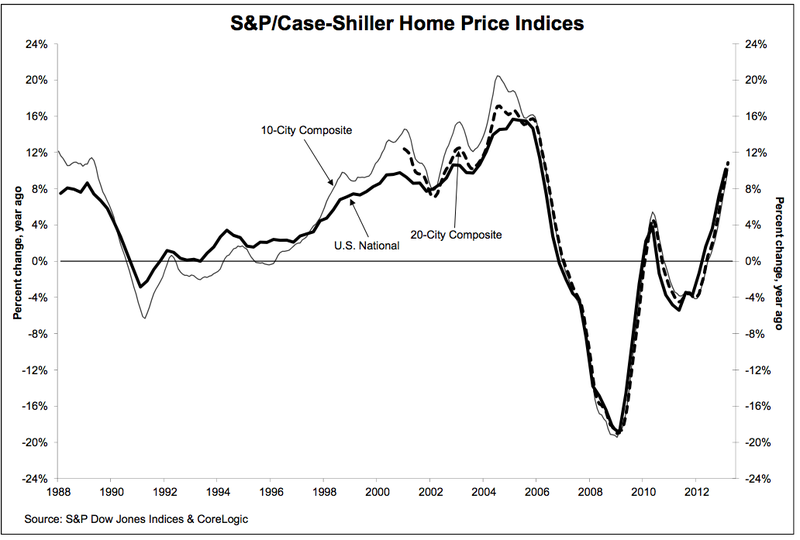 Are higher house prices good or bad? Standard & Poor’s recent press release shows strong increases in house prices — double-digit annual increases. Some commentators hail this as a good thing. But few commentators notice that house price increases are not necessarily good for the economy. It is good for some people, but not for all. A paper in the Journal of Urban Economics — by Pat Bajari, Lanier Benkard, and John Krainer — suggests that house prices have little significant impact on overall welfare; rather the bigger welfare effects of house price appreciation are redistributive effects, transferring wealth from one part of the market to another. Households who are long on housing (own more than their desired level of housing services, e.g. landlords) tend to gain from house price appreciations; households who are short on housing (e.g. renters) tend to lose from house price appreciations. Hence the welfare impacts of house price appreciations are quite ambiguous. The Pat Bajari et al. paper suggests that house price appreciations had a negative welfare impact of $127 per year between 1984 and 1998. So are house price increases good or bad? There doesn’t seem to be much reason to celebrate. Bajari, Patrick, C. Lanier Benkard, and John Krainer. “House prices and consumer welfare.” Journal of Urban Economics 58.3 (2005): 474-487.